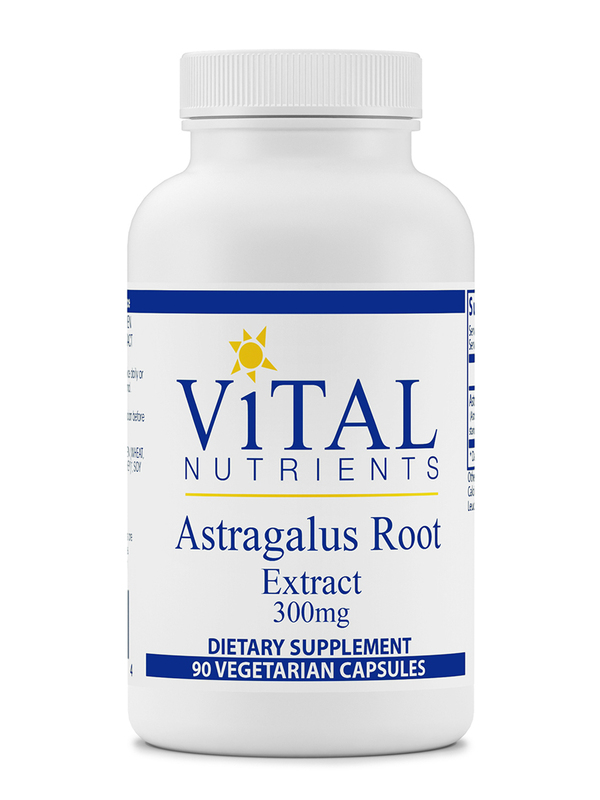 We started using Astragalus Root Extract at the suggestion of our naturopath for immune support. We keep a supply on hand during cold and flu season. Love Pureformulas - fast and easy!! 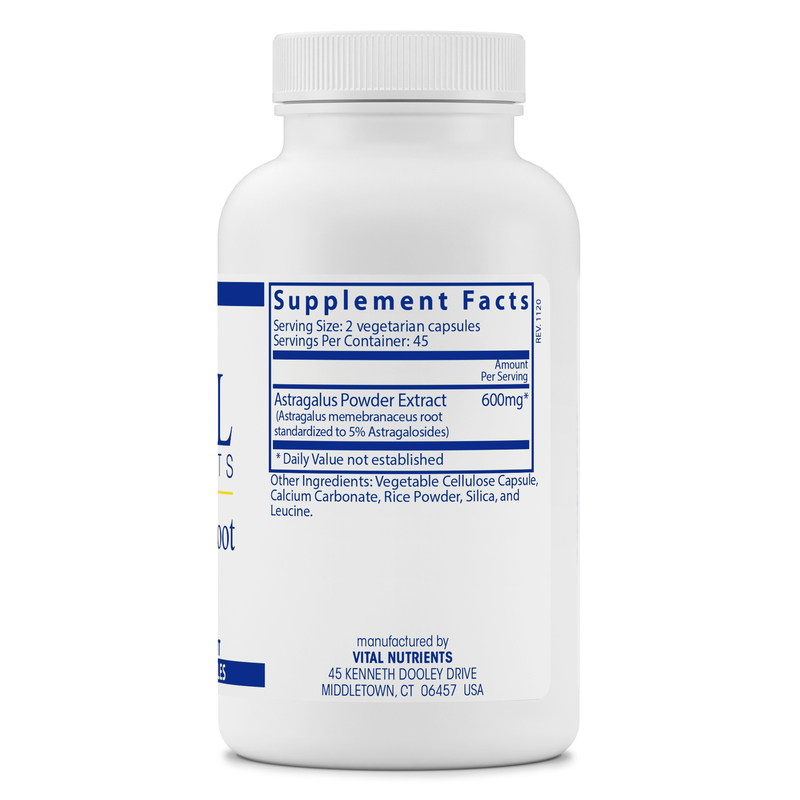 Love Astragalus Root Extract 300 mg by Vital Nutrients, it has really made a big difference in my health and I Love this benefits it has made in my health as well I'm more alert and have more energy and am in great health!!! Thank You!! Astragalus Root Extract is a superior Chinese herb used to support the immune system. Astragalus is used in Traditional Chinese Medicine to tonify the spleen‚ the qi (vital energy)‚ and the blood. Astragalus is very high in trace minerals and micronutrients. Other Ingredients: Vegetable cellulose capsule‚ calcium carbonate‚ rice powder‚ silica‚ and leucine. 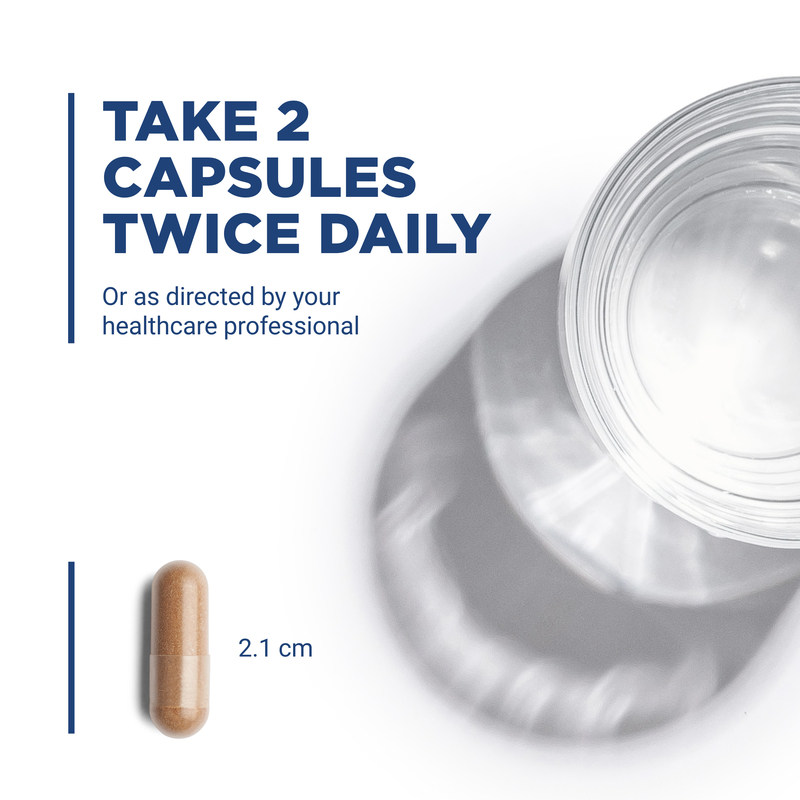 1 to 2 capsules 2 or 3 times daily or as directed by your healthcare professional. Recommended by two NDs in my area. 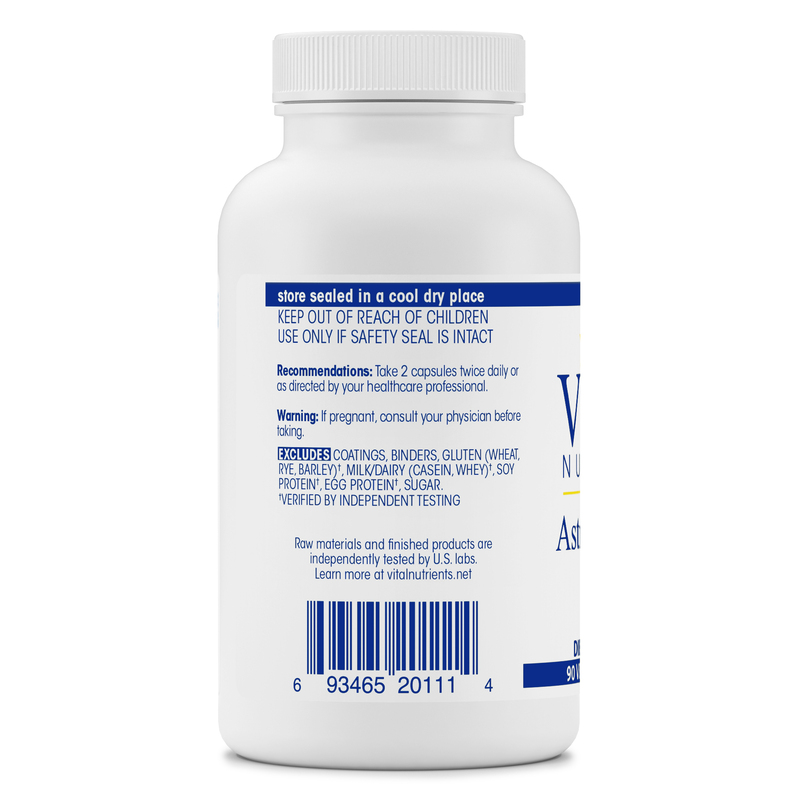 That is a great supplement and recommended to everyone! !